- gravity or pressure fixture to assemble and cure bond test samples glued for example with Cyctec FM-1000. 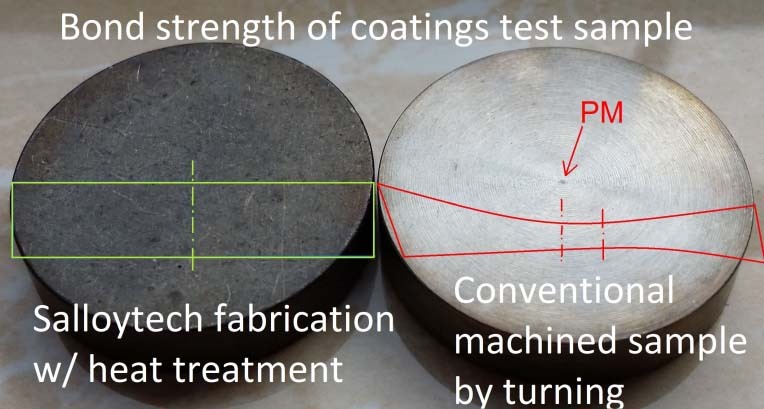 We have seen a lot of bond strength test samples with poor quality resulting in inconsistent test results, affecting process capability (low Cpk/Ppk). 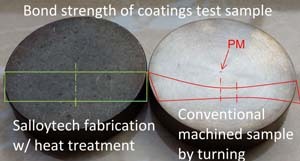 Our test samples solve this problem by very high precision of flatness, parallelism and in-line axis two flat surfaces. High Cpk/Ppk usually leads to lowering a production cost by reducing the frequency of testing. Our speciality is metalworking in superalloys and titanium but we can also work with more conventional metal alloys such as aluminum and steel. We have fixed and stable production processes that are ISO 9001:2015 certified and we are compliance with AS9100. The second but not less important is manufacturing cost. Our optimized manufacturing processes for variety of samples are cost effective and results in lower competitive prices. For more information about our company please visit http://www.salloytech.com. We are located in Poland, Europe. If you have any further questions or would like to get free samples, please feel free to email us info@salloytech.com or call +48 22 273 23 06.